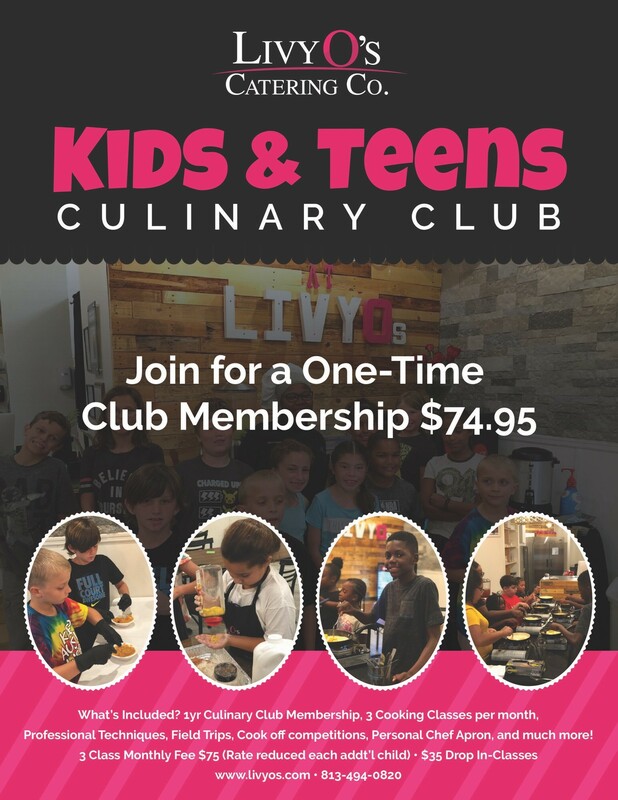 Is your kid & teen an aspiring chef or simply enjoys the art of culinary? 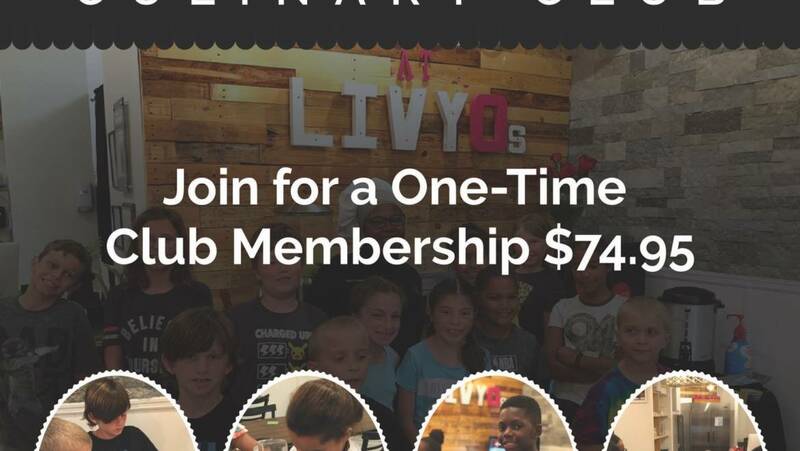 Register them TODAY for the Livy O’s “Culinary Club!” One-time $74.95 membership fee includes: personal chef apron, field trips, admission to all culinary competitions, discounts on retail, and much more! All club members has access to 3 cooking classes per month (additional drop in rates apply for non-club members). Monthly fee starts at $75 for 3 classes, and reduced each additional child per family. Please visit http://livy-os-catering.ticketleap.com/culinary-club for registration & more details or call (813)494-0820.